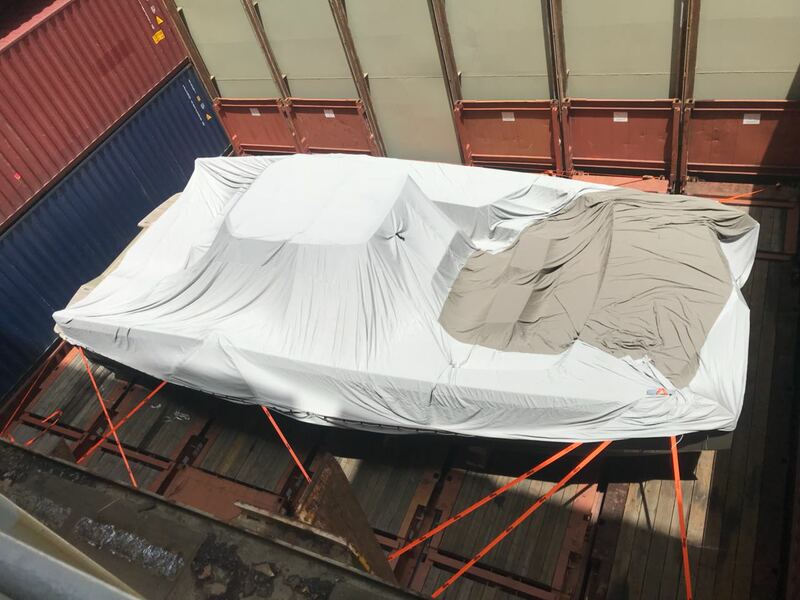 Your yacht transport partner can when possible organize a full shrink wrapping to fully cover the yacht. 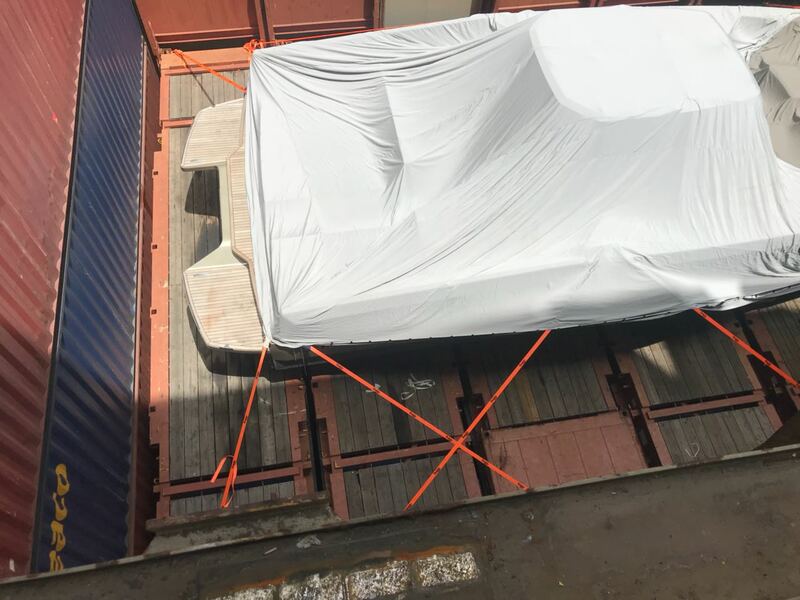 This is plastic cover is a full on “cocoon” that will completely cover the yacht while being transported. 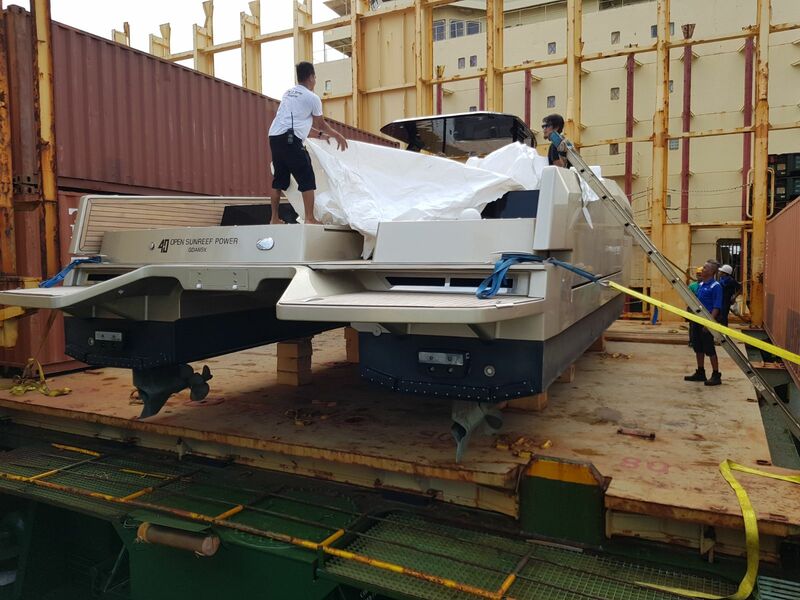 It is likely to be done in the port of loading while at pier or even on the ship subject to master and port approval as for obvious reason the yacht wouldn’t be able to sail. 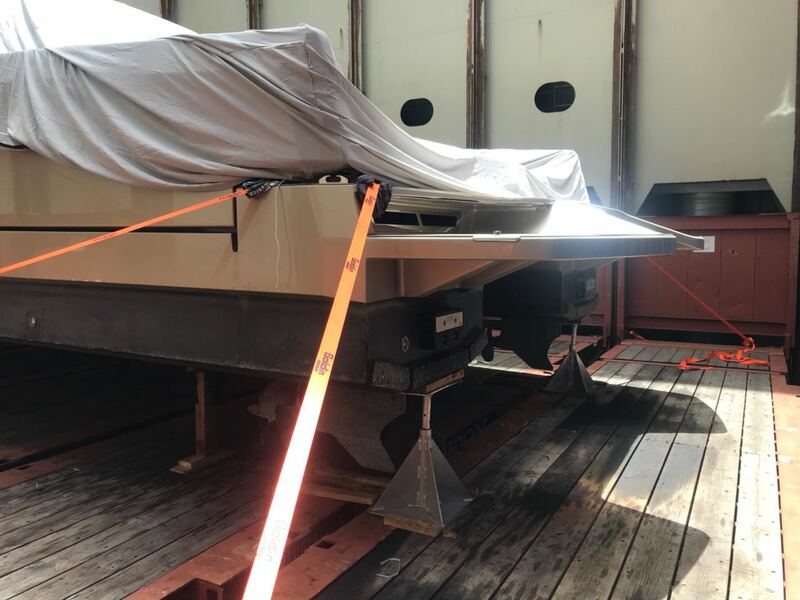 Inside the yacht it is also strongly recommended to lock all the cupboard and secure the breakable items.The vessel will roll during transit hence the necessity of having an adequate cradle. 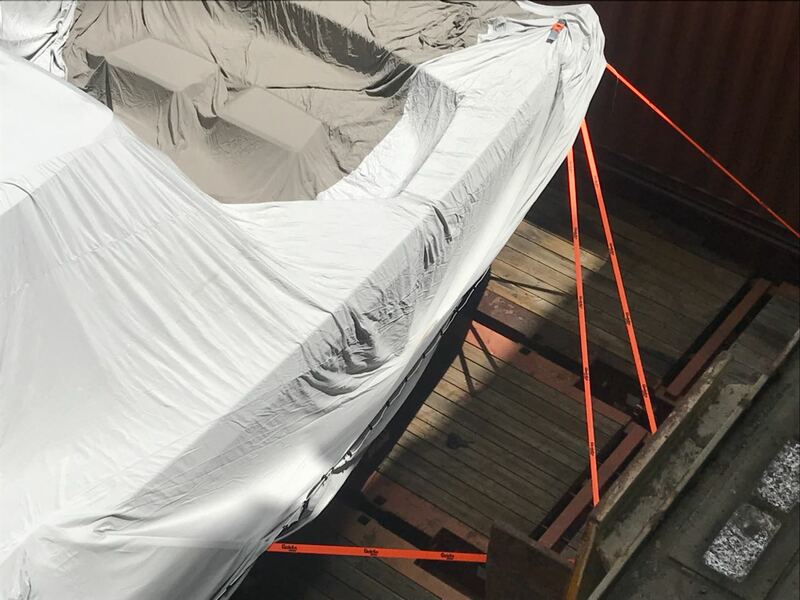 Of course the yacht will be safely secured on deck using lashing chain and belt. The number of belts being used is subject to the size of the yacht. The cradle is often even welded to the deck of the ship to ensure a maximum of safety and stability. © 2013, cigisped middle east, all rights reserved.